In mid-September best selling author Daniel Pink hosted another best selling author, Paul Tough, on his internet broadcast talk show, Office Hours. 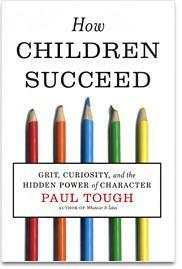 Paul Tough is the author of the recently released book, How Children Succeed: Grit, Curiosity, and the Hidden Power of Character. Wendy Calise, principal of Countryside Montessori in Illonois, USA and the driving force behind the Montessori Teachers Institute for Professional Studies (MTIPS) was fortunate enough to be selected to ask a question live on the broadcast. She extolled some of the benefits of a Montessori education. Daniel Pink, a fan of Montessori, then went on to talk more about the qualities of a Montessori education.